When it comes to running a commercial kitchen, cleanliness should be a top priority. Patrons not only appreciate a clean kitchen, but the law also requires it. Whether it's traditional restaurants or fast food chains, different establishments must follow foodservice and health regulations to keep their space up to code. So what's essential to keep your kitchen spotless? From daily maintenance to annual checkups, the restaurant kitchen cleaning checklist below has all minor and major tasks you need to do throughout the year. 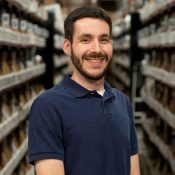 Matt Gentile is a Content Specialist with Parts Town, the market-leading distributor of genuine OEM foodservice equipment parts. Parts Town has the most in-stock parts on the planet to help repair commercial kitchen equipment for chain restaurants, institutions, independent restaurants and more.